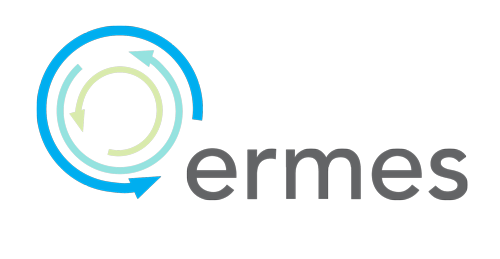 ERMES presents a new finite element code in frequency domain. ERMES (Electric Regularized Maxwell Equations with Singularities) is a finite element code in frequency domain which implements in C++ a simplified version of the weighted regularized Maxwell equation method. This finite element formulation produces well-conditioned matrices which can be solved efficiently with low-memory consuming iterative methods. Also, thanks to the null kernel of its differential operator, it can operate indistinctly in the quasi-static and the high frequency regimens. Therefore, ERMES is a versatile tool which can be used in a wide variety of situations.